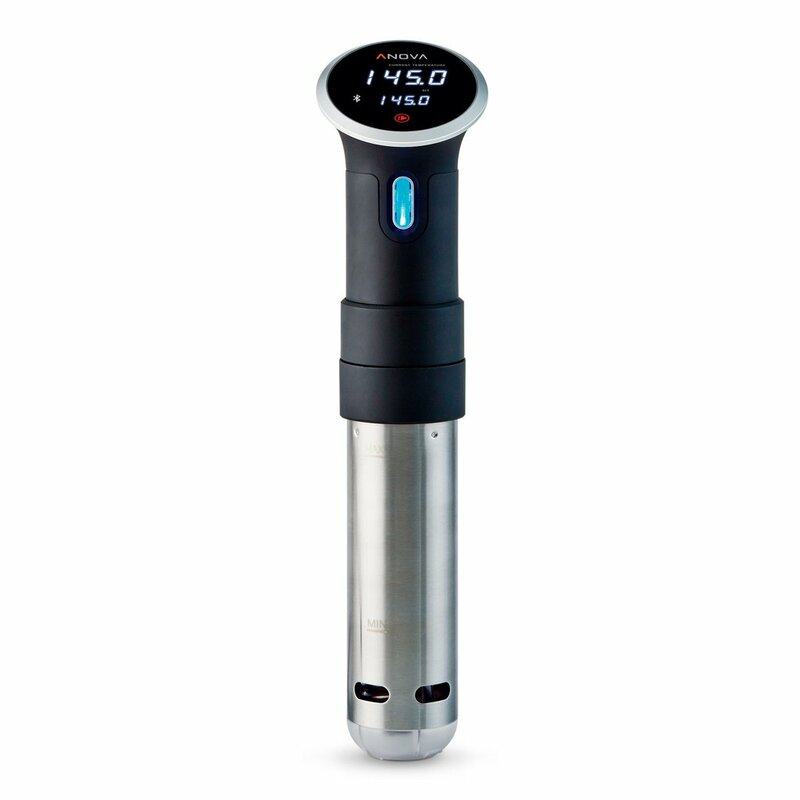 The Anova Precision® Cooker is the world’s top-selling sous vide machine. It’s amazingly easy to set up with outstanding results. If you have a pot, a ziplock bag, and a pan, you’ll cook the best food of your life. – Control your cooker from another room. – Serves up to 8 people. Perfect for daily cooking. – 800 watts heats your water fast. – Control your cooker at home or at work. – Serves up to 12 people. Perfect for dinner parties. – 900 watts heats your water fast.